BAGRAM AIRFIELD, Afghanistan -- Sgt. 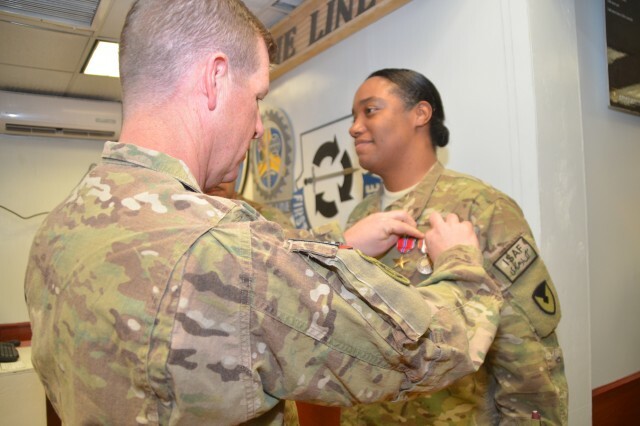 1st Class Carla Bolden was awarded a Bronze Star Medal by Col. Mark Paget, commander, 401st Army Field Support Brigade, during an awards ceremony at 401st headquarters Jan. 8. Bolden served as the S-4 (Logistics) senior noncommissioned officer-in-charge for one year. She was instrumental in increasing the brigade focus on property accountability and in resolving a number of high-dollar value Financial Liability Investigation of Property Loss investigations. Bolden assisted in the administrative process for assigning, tracking, reviewing and routing investigations and reports. She also briefed new FLIPL investigative officers and was available to consult and assist as necessary. 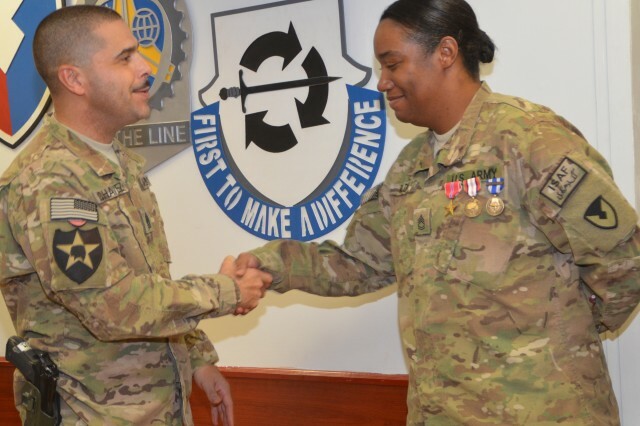 She was also awarded the Afghanistan Campaign Medal and the Non-Article 5 NATO Medal. 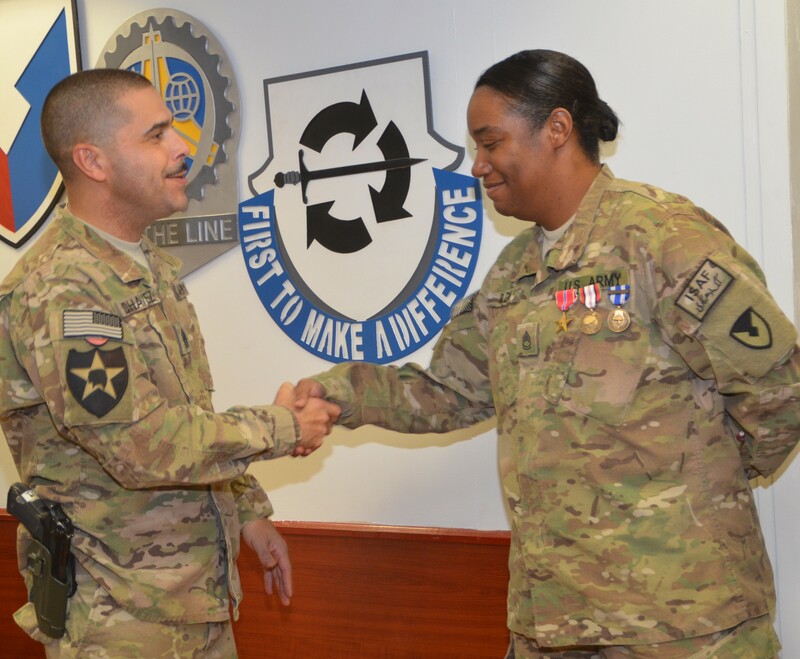 Bolden's next duty assignment will be at Fort Leonard Wood, Mo.